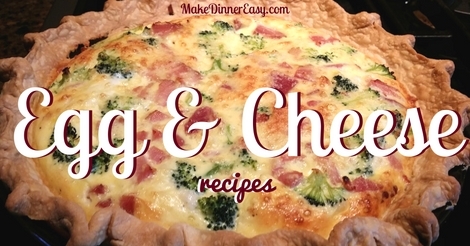 Egg and Cheese Recipes are a quick, easy, and budget friendly option for dinner. Whether you are trying to incorporate more meatless meals into your dinner plans, want to try something different like breakfast for dinner, or just need a fast meal with ingredients you have in the house, these recipes may help round out your weekly menu planning. Considering the price of eggs, it's easy to see how you can make a really economical meal using this great protein source instead of meat or fish. 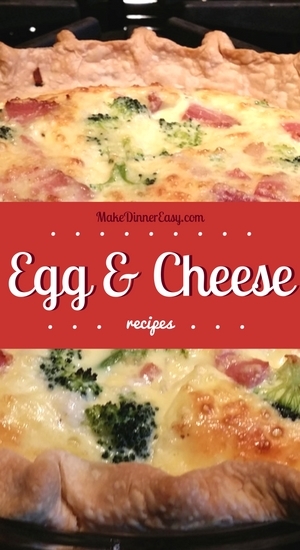 While most people think of egg dishes for breakfast, they can make a great option for dinner. I often don't have time to make an elaborate breakfast like french toast on school days, but there is no reason why you can't break the rules and have... breakfast for dinner. One question I'm often asked is what kind of eggs to buy. The choices range from organic, to cage free, to conventional. Then you can also pick from sizes ranging from jumbo to large to medium. There is a fair amount of controversy on this, so I'll share my personal preferences (which you may not agree with!) and I welcome you to share below yours as well. I'm all about a good deal as long as I'm buying healthy food. To that end, my preference is to buy eggs that are higher in omega 3s and that are cage free, if the price is right, I'll buy organic. Feel free to share your preference in the comment section below! Want To Look Around Some More? 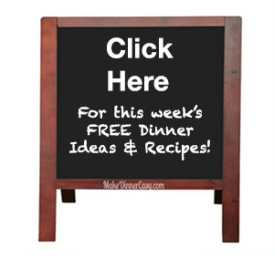 Check out the Dinner Ideas I've planned out for this week! Have you ever broken an egg in a bowl and then found that a little piece of the shell had broken off along with the raw egg? It should be easy enough to pluck out that piece of shell, but it usually isn't so easy unless you use this trick: Rather than using your fingers or a spoon to try and scoop that broken off eggshell, use the empty shell itself. Maybe it's like attracts like, but this actually works!